Книга по рукоделию к Рождеству и Новому Году. Авторы предлагают 8 уникальных проектов для создания рождественских украшений. Christmas is the most wonderful time of the year. There are so many ways to show off your holiday spirit. The first step is to decorate your home inside and out. This year, create homemade Christmas decorations instead of buying decorations from a party supply store. Not only will you save money, but you'll also have the satisfaction of knowing that your holiday flair is completely unique. Not sure where to start? 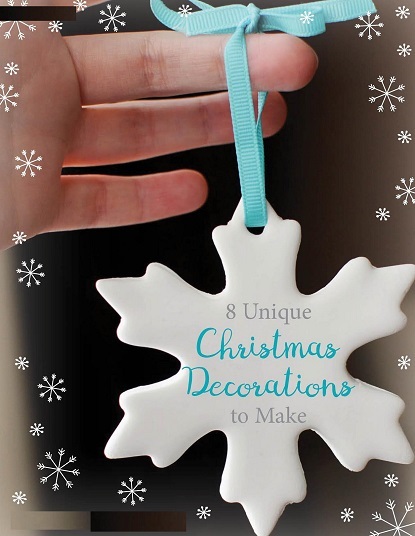 There are tons of Christmas decorating ideas in our free eBook, 8 Unique Christmas Decorations to Make. This collection includes traditional Christmas figures like angels and Santa, and for more adventurous crafters, there are modern Christmas decorations, too. Download this eBook and see what holiday magic you can make today!